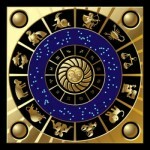 ← How does it work when you do a horoscope for twins? “Astrological” twins: do they exist ? I hope this gives you a flavour of what it is like observing through the lens of astrological symbolism the shifting dance of interconnected energy comprising our small earthly world. The great thing about astrology ‘beyond the sun signs‘ is its ability to illustrate – to those of us whose imaginative range is not constrained by reductionism – that there is not only meaning but also teleology embedded in our small lives as they unfold within the vast cosmic dance…. This entry was posted in Astrology and Twins (2 articles), Uncategorized (35 articles) and tagged Ascendant, Astrological sign, Astrology, horoscope, Leo, Scorpio, Sun, Virgo. Bookmark the permalink. Oh how honoured I feel to be mentioned and as part of a hardworking, charming, highly communicative and cooperative group!! Are you sure anne??!! Love the phrase “the shifting dance of interconnected energy” it just captures exactly what it is and paints a lovely picture. Thanks, Sheilagh. All true! Thanks for the feedback re my phrasing. It’s hard to capture anything of the Mystery in which we live, move and have our being….but one can at least try. So interesting. I truly loved your description of the experience of teaching into a “black hole”. I’ve known a few people like that, and can have some tendencies myself. It’s as though the desire to absorb – experience, knowledge, whatever – is palpably intense. And any teacher knows that there’s a “group identify” to each class that transcends the individuals. It’s very interesting to think about. It’s also a delight to find you using such a comfortable and familiar phrase: “the Mystery in which we live, move and have our being”. Not all the theologians might be comfortable with that, but some would. Glad you liked this, Linda. I really appreciate your thoughtful questions. Feel free to continue! Yes, I’m with Paul Tillich whose view as I understand it is that even attempting to name that Mystery which lies utterly beyond human comprehension could be interpreted as idolatrous…..
Hi Anne, I am slowly working my way through reading your posts and articles as time allows. You join the company of Donna Cunningham and Eileen Nauman in my circle of favorites. As for the above, I find it interesting that I am also married to an Aquarian (which is my moon sign) and have found that the Sun/Moon connection is usually indicative of friendship and we definitely have that! My Venus is in Leo. I see you are loaded with Leo planets all in the 12th house, you must have had a lot to work out in finding a way to let your Leo light shine from the hidden 12th house! I’m sure I will learn more about that as I continue reading. As for our mutual Pisces Descendants, I have always adored Pisces men and women, they are my favorite people to be with (except my Aquarian husband who just so happens to have a PISCES Moon!! I feel a deep friendship with my two Aquarian sons, who are now grown and married. . I have so much to tell you……….. When Uranus passed through my 7th house I also worried about my marriage and I experienced the same thing you did. My husband and I became more spiritual together and joined an Edgar Cayce study group on “Finding God”, which we still attend weekly. I thought the class was going to be more about the healing and prophecy side of Edgar Cayce which always interested me. It turned out to be different, but has helped my husband and I to grow immensely. We have also met the most wonderful friends there. Uranus is moving through my 8th house and squaring my Sun exactly now. All I have experienced so far that can relate is: Uranus in Aries square Sun in Cancer = head and stomach. My husband (Sun) has had two sudden accidents in the last 6 weeks – a head injury requiring 5 stitches and an abdominal hernia – wow!! Head and stomach, both sudden injuries. I am watching now to see how this will affect me more personally. Sorry to be so wordy!! Hello again Peg, please don’t apologise and many thanks for your kind words about my blog posts. Yes, we do indeed have much in common – it’s great learning for other astrologers when you give detailed feedback like this so that people can see how similar configurations can have very similar manifestations – and how literal astrological symbolism can be at times. Many thanks, and do keep reading and commenting! I must also respond to this Astrological twins post… I wrote a post called “Time Twins” on my blog. 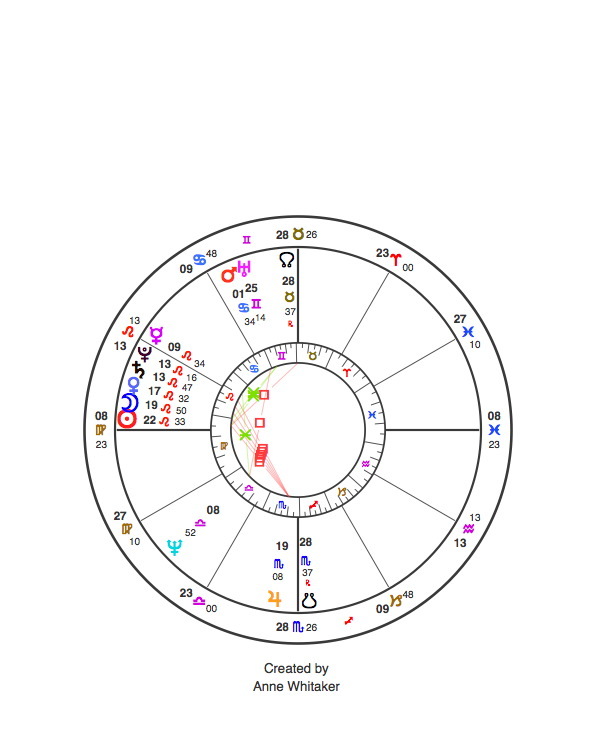 If you read Joseph Goodavage’s book called “Scientific Astrology” he writes a chapter about babies born within minutes of each other on the same day, in the same location and the fact that they share pretty much the same birth chart. They therefore live similar lives. Of course there is always free will to use the energy as you choose. Yet, despite this, he found so many people living the same life. It is so very interesting to me. I have been searching for a baby born to my roommate in the hospital just minutes after my first son was born to see if this boy remained single as my son did and if they share any other similar life ventures. So far, I have been unsuccessful. My oldest son is not on Facebook and of course this other guy Mark is not found on Facebook either! Astrologer Joseph Goodavage did much of his research in the exact hospital where I gave birth to my three sons in Pequannock, New Jersey. Most amazing to me! !